I'm not sure what it is about Paris lately, but the flight deals from Vancouver have just been getting better and better. This latest deal is from Icelandair, who have dropped the price of their late May, early June flights between Vancouver and Paris down to just $662 CAD roundtrip including taxes. This is not to be confused with the recent deals on Air France and KLM, which were for travel up until late April, early May. 3. When you get to Flight Network, it will show up as $672 CAD. You can bring it down $10 more by using the promo code 3P10OFFS132 at checkout. Here's a screenshot of where to enter the promo code, it can be difficult to find. There are other date combinations that are pretty cheap. The key is to depart May 16. You can return on May 28, 29, 30, 31, or June 4, 5, 6, 7, 11, or 12 for similar prices. 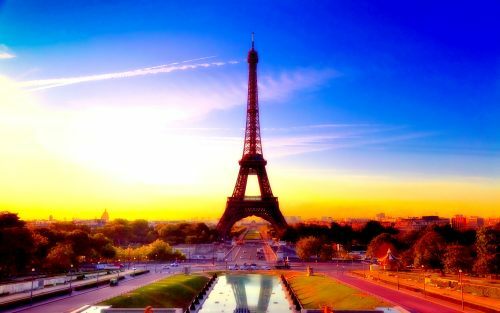 vancouver, yvr, flight deals, europe, icelandair, western europe, paris, france and cdg. 2 Responses to "Vancouver to Paris, France - $662 CAD roundtrip including taxes | late May and early June 2016"
Thanks for the post. Used your information to book a pair of tickets to Paris over the March break. Of course couldn't get it as low as the post but it was less than $800 through Flight Hub on FinnAir so I don't think we did all that poorly. British Airways has YVR-CDG for around CAD$630-650 early spring but YVR-LHR is over $1000 making LHR a hidden city. However Air France has CDG-LHR returns for $120. So if you want to visit London think of 2 nights in Paris also.